Belmont East Councillor Nicole Young has officially taken up her duties after being sworn in on Wednesday. 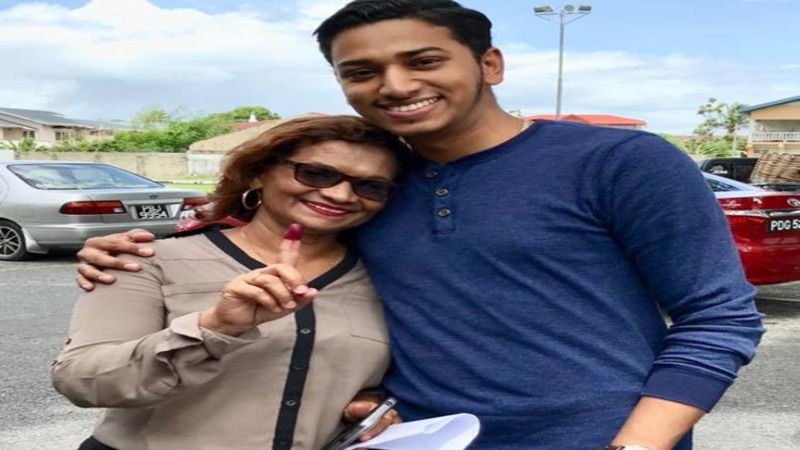 Young, who won the Belmont East seat in the July 16 by-election, was sworn in during a ceremony at City Hall in Port of Spain. 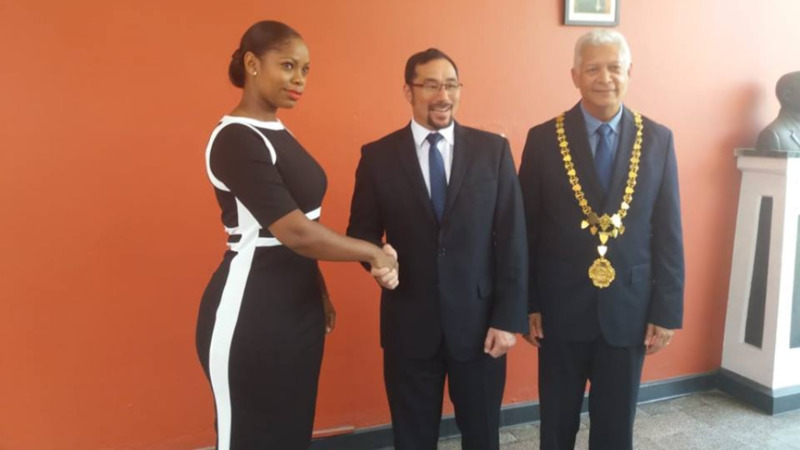 Port of Spain Mayor Joel Martinez offered his congratulations and said he looked forward to working with Young who he described as a "young, dynamic, passionate daughter of the soil." "It is a great opportunity to serve the people of Belmont East and I think she would do really well," Martinez stated. Martinez paid tribute to former Belmont East Councillor Darryl Rajpaul who collapsed and died while playing football in November, last year. Communications Minister and MP for Port of Spain North/St. 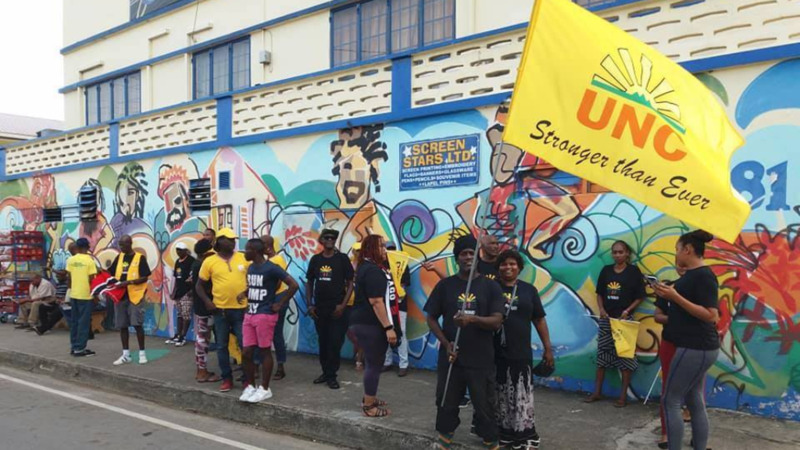 Ann's West, Stuart Young, also paid tribute to Rajpaul during the ceremony saying Rajpaul was well liked by all those who had the opportunity to interact with him and his legacy would live on. The Minister congratulated Councillor Young on her by-election win and urged the council to not take their duties lightly. Councillor Young expressed her excitement and said she was ready to go to work for her burgesses. "I am really excited and so ready and willing to learn the ropes," she said. Asked what was first on her agenda, she said addressing the flooding problem. "It is the rainy season currently and I know that one of the reasons for flooding is clogged drains. So I want to work on that to get the drains cleaned...that is the first thing I want to work on." 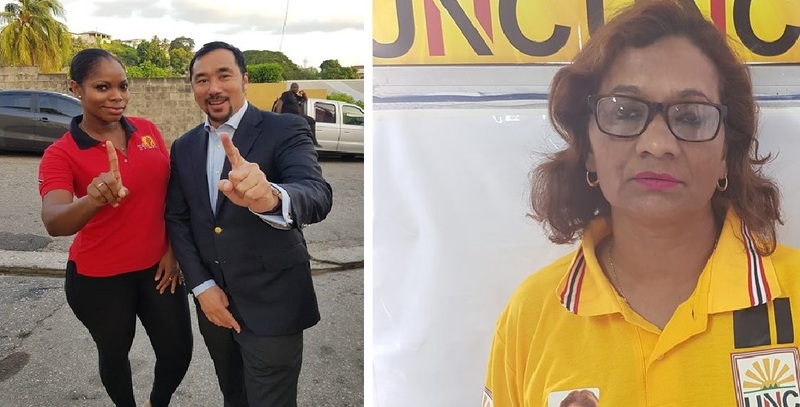 She said she would also be embarking on a number of social programmes and had already engaged stakeholders to start up a committee to get certain things done in the Belmont East area. Asked if she was confident in getting all these things done with local government elections just around the corner, she said she would be working with a team and was sure a lot of work will be done within the next year. Questioned about a lack of water in the area in recent days, Councillor Young said this was due to work being done a Water and Sewerage Authority (WASA) sub-station. She said this affected the water supply for around three days but she assured that the supply was back to normal.